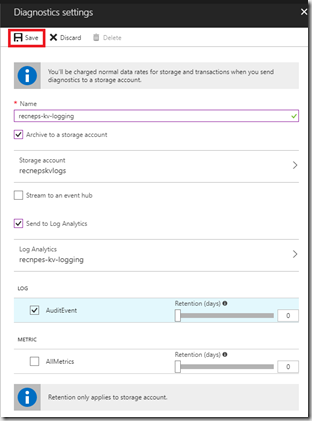 Click your log analytics item, to open Log Analytics. 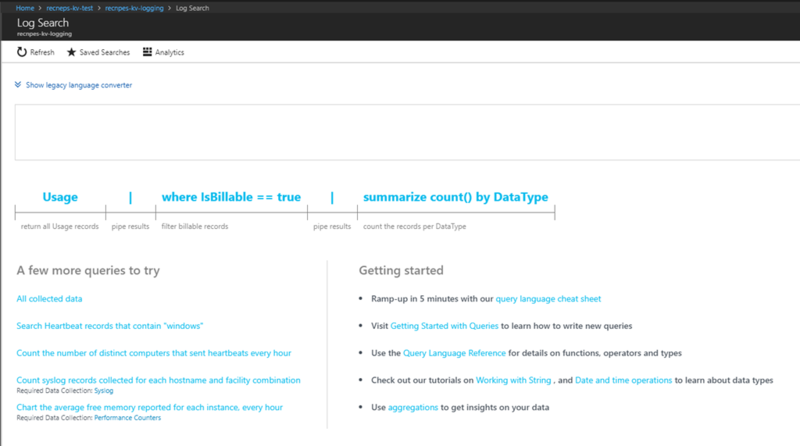 This screen allows you to create your own query or select from existing ones. Selecting “All Collected Logs” will show you the logs for the last day. 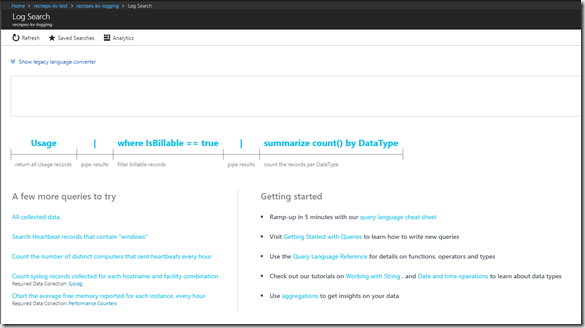 I’ve highlighted the areas where you can change the time period, see the query and also click on Advanced Analytics to give a richer environment for analysing your logs. search * | where Category=="AuditEvent"
This will default to a list view, but clicking the Table button will format the data in an easier to read table. We are interested in all calls where someone has tried to access a Secret from the key vault. For that we are looking for an AuditEvent with an OperationName of SecretGet. 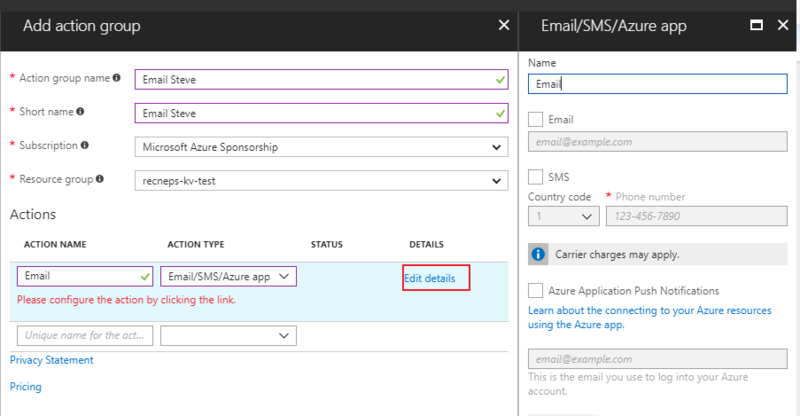 If we also want to restrict the columns we retrieve then you can use “project” e.g. 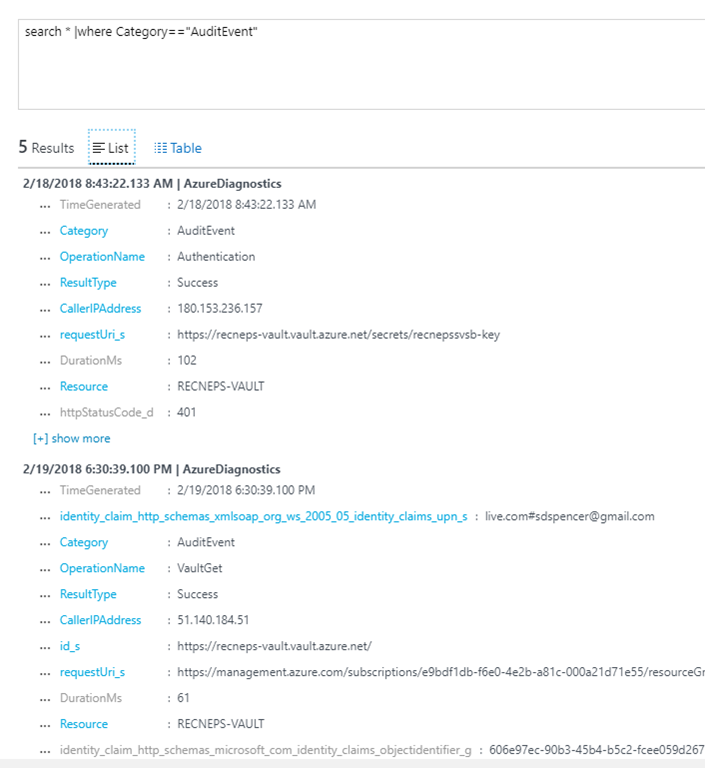 search * | where Category=="AuditEvent" and OperationName == "SecretGet"
search * | where Category=="AuditEvent" and CallerIPAddress != "51.140.184.51"
then click Alerts (preview), you will be able to see the alerts that have fired. 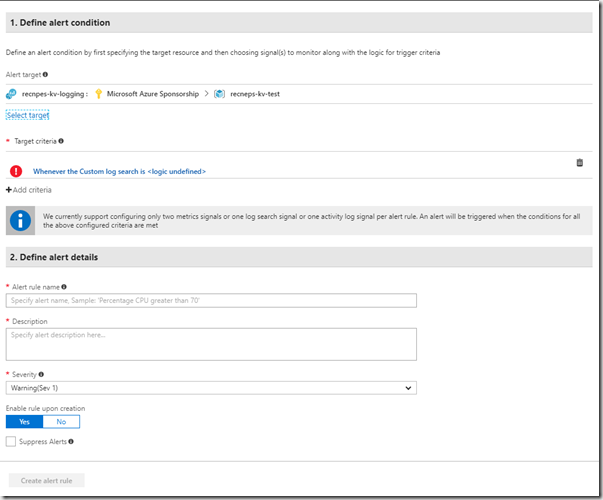 Click Manage Rules to edit the alert. When the alert is fired I will get an email containing the details of the alert. 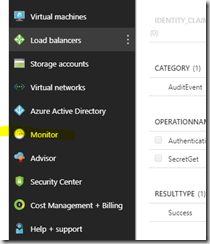 Azure Key Vault is a good way to share secrets with your partners in a way that allows you to have control over the access to each of the assets in Azure. We also need to know who is accessing the resources and from where so that we can monitor for suspicious activity. 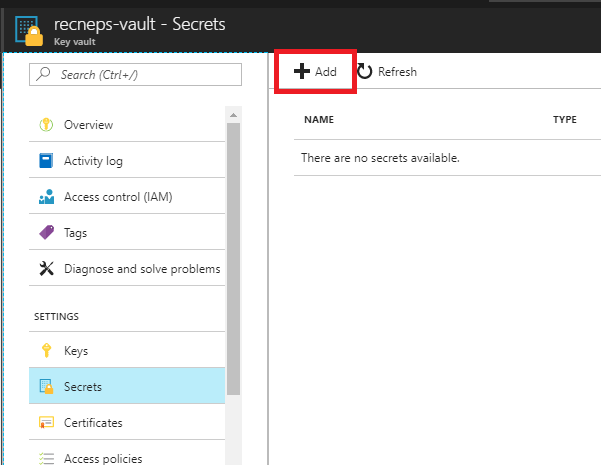 This post will talk through setting up the key vault and then configuring logging to keep track of the audit information for your certificates, keys and secrets. 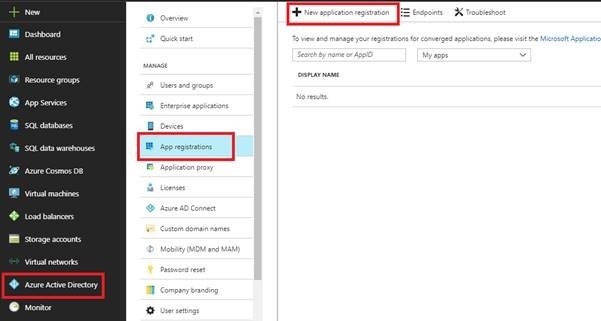 For each application that you want to access your resources you will need to create some credentials that the application can use. 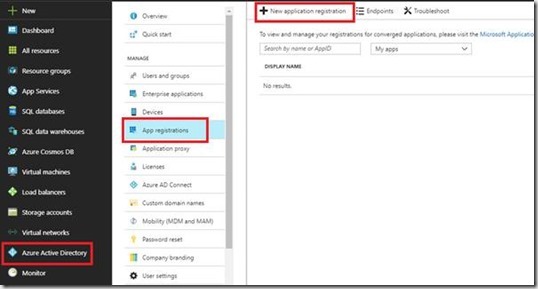 To allow an application to access key vault an App Registration needs to be added to Azure Active Directory (AAD). This effectively sets up a username and password that the application can use for credentials. Open the azure portal (http://portal.azure.com) and navigate to Active Directory. Once created copy the Application ID as this is equivalent to a username to be used when calling the Key Vault in code. You now need to create the password. Enter a name in the description field and select a duration, then click Save. The new key value will be displayed. You will need to copy this as it will not be visible again once you leave this page. This will be used as the password. Now create the Key Vault. 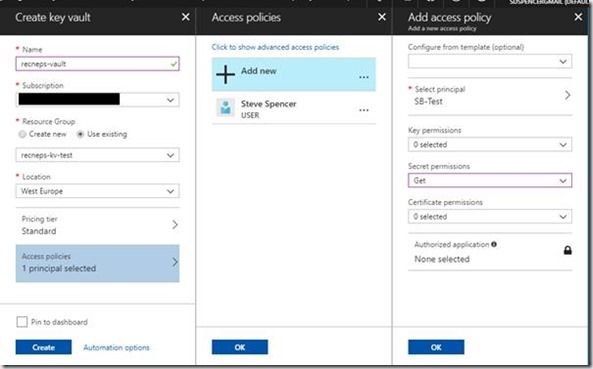 To do that it is a good idea to put it in a specific resource group, especially if you are creating a set of resources that the key vault is going to access or if you are going to setup third party access. Once the Resource Group has been created, select it and add a Key Vault. 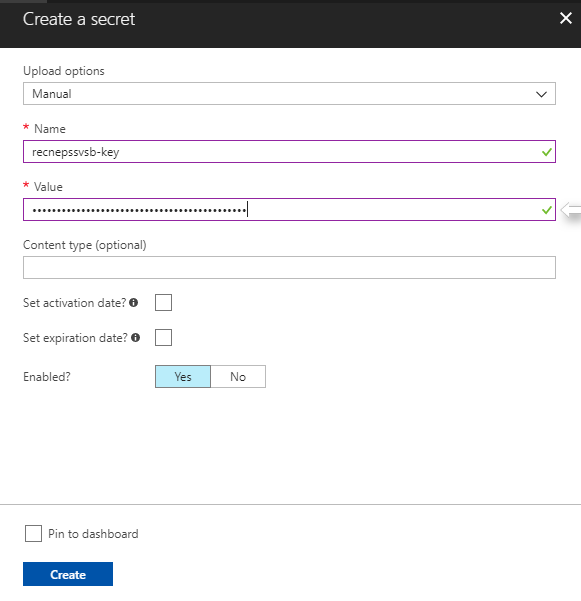 When the Create Key Vault panel appears, click Access Policies, click "Add new"
You have just given the application we created earlier access to just retrieving secrets. 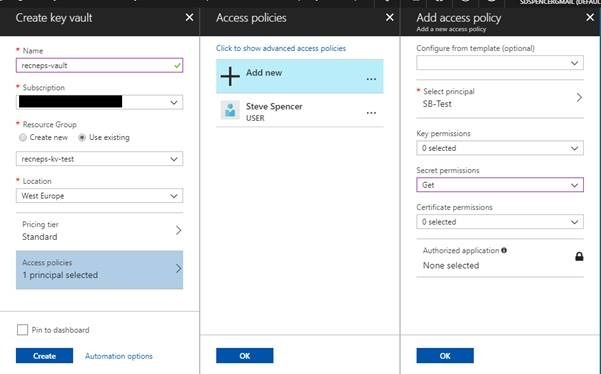 As you can see from the access policy you can give the application permissions to access a combination of Keys, Secrets and Certificates with the minimum access of Get. 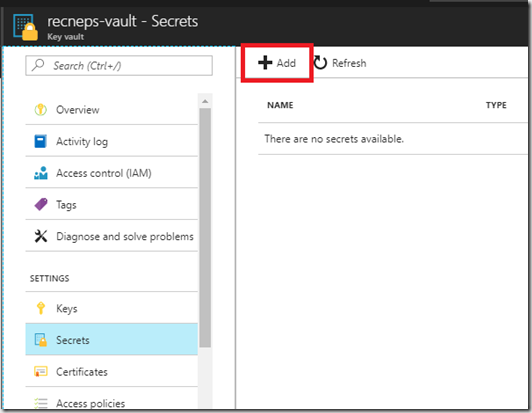 The Key Vault security is at the vault level and you cannot protect individual secrets at the user level. By granting only Get access on the Secret the application will not be able to list the Secrets available and will only be able to retrieve secrets it knows the names of. Now the Key vault is set up and can be accessed, we want to know who is accessing the vault and from where. 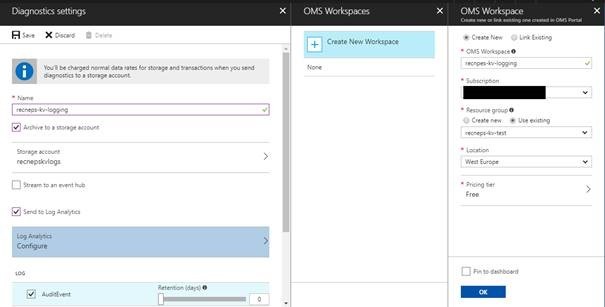 Out of the box this is not enabled and requires additional configuration and resources to allow us to be able to retrieve this audit information. 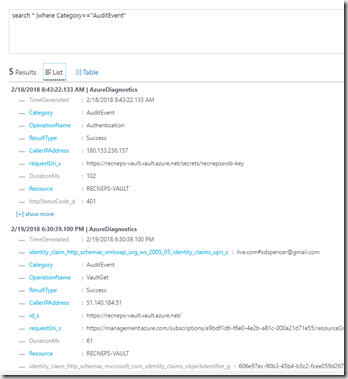 This is achieved by enabling diagnostic logs in the Key Vault. select the AuditEvent log and click Save. Now any changes to the Key Vault plus any access from your application will be logged and visible via log analytics. There’s a 10 – 15 minute delay between accessing the Key Vault and the log appearing. 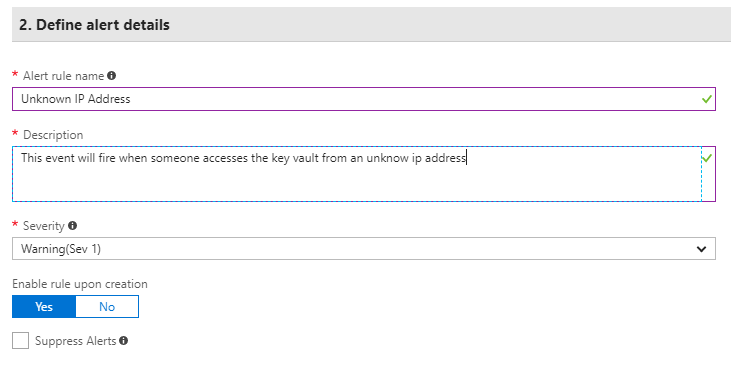 You should see in the logs this secret being created and also when it gets accessed. 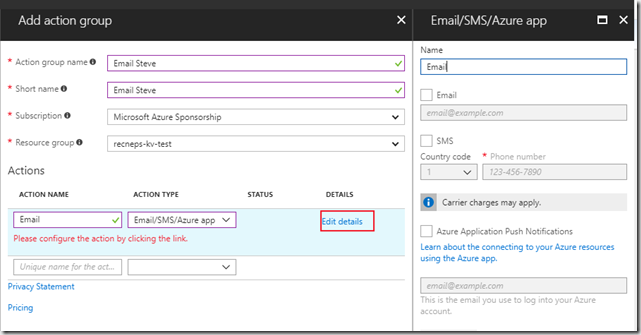 ClientSecret is the key you created (that you had to save as it wasn’t visible again) as part of creating the application registration in AD. 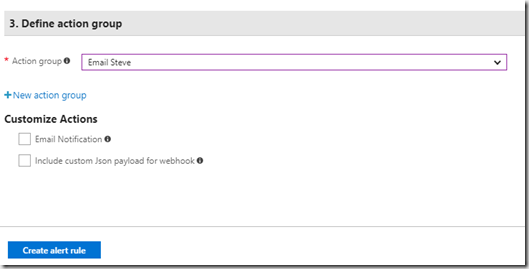 The IntelliTrace option is only available if you have Visual Studio 2010 Ultimate. 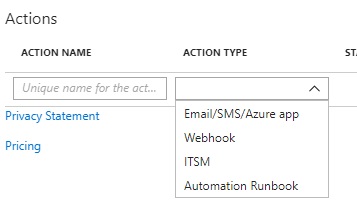 Once deployed to Azure the Roles will attempt to start and any errors during this phase will lead to the symptoms mentioned above. 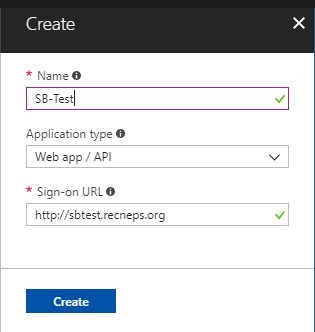 You can then connect to your Azure environment using the Server Explorer in Visual Studio to retrieve the IntelliTrace files which can be opened in Visual Studio and show any exceptions that may have been thrown. Further information can be found here. 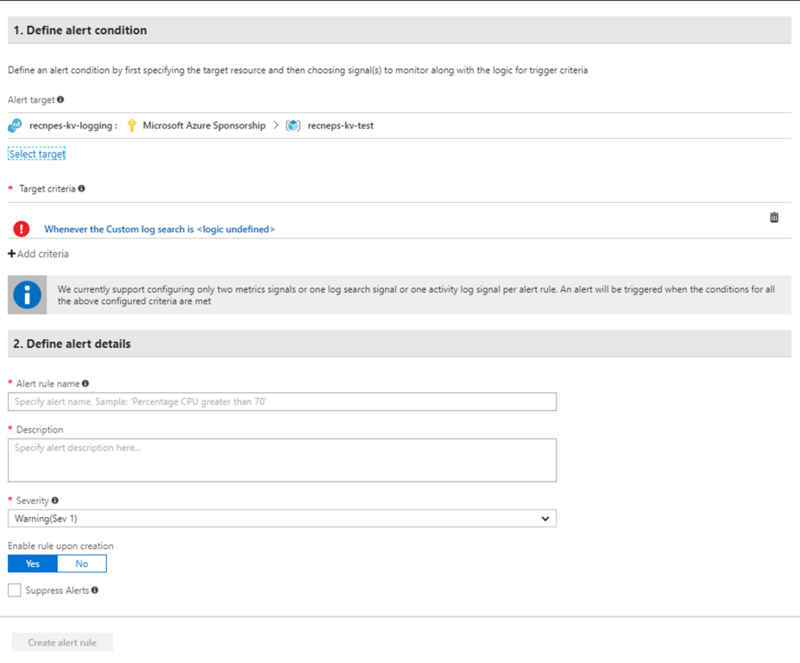 Once you have diagnosed your issue please ensure at you then disable the IntelliTrace by redeploying the fixed application as it will have a negative impact on performance if left enabled. 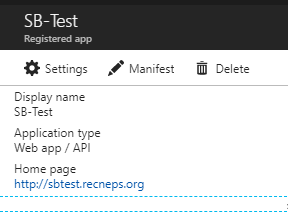 Getting back to the problem we have at the Bootcamp, the issues was that the deployed application was trying to writing information to Azure storage and the connection string was still pointing to Development storage. 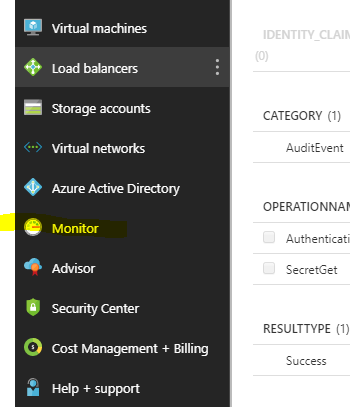 This was strange because none of the deployed applications had got to the Azure storage part of the lab so you would have thought that there was no need for a connection string. 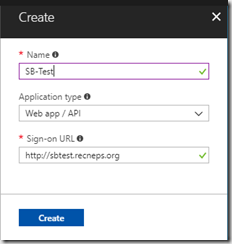 Luckily I had the exact same problem with one of my earlier deployments and it turns out that when a project is created the Diagnostic plug-in is automatically enabled. 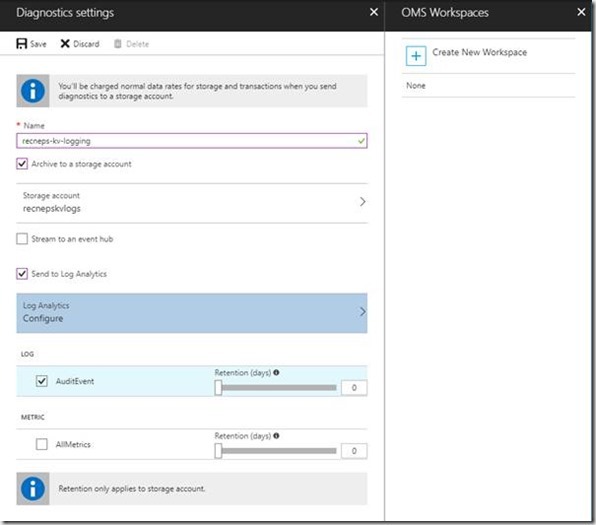 The diagnostic plug-in requires its own connection string to Azure storage so that the diagnostic information can be stored. 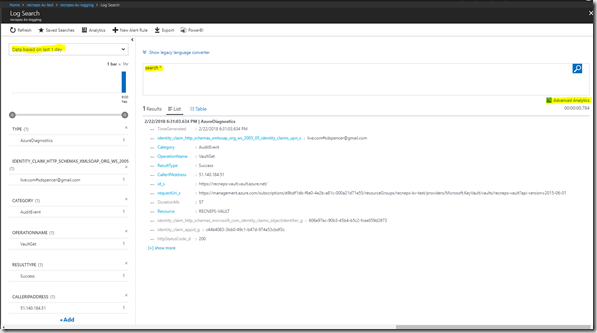 Looking at the role configuration in Visual Studio you can see the Diagnostic plug-in configuration. 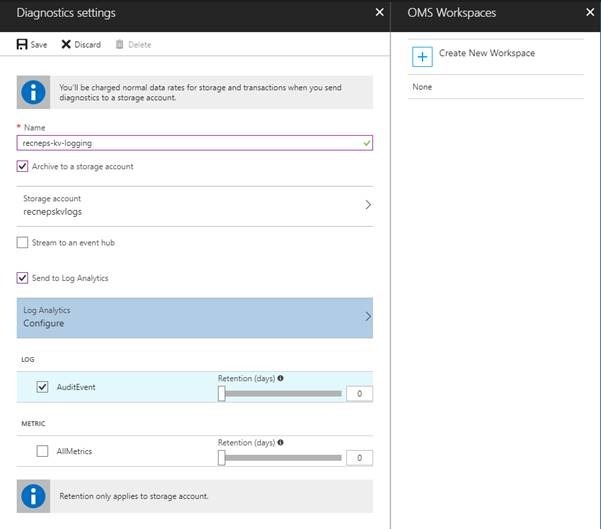 To fix the deployment issue click the button next to the connection string text box and enter the details of your Azure Storage account. 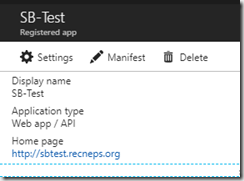 You will need to redeploy the application or upload the new ServiceConfiguration.cscfg to fix this issue. 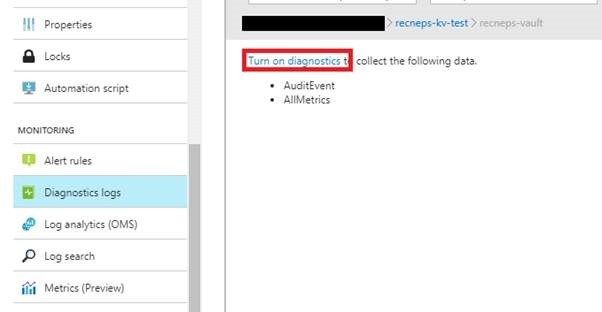 If this still does not resolve the issue then try disabling the Diagnostics plug-in and redeploy. 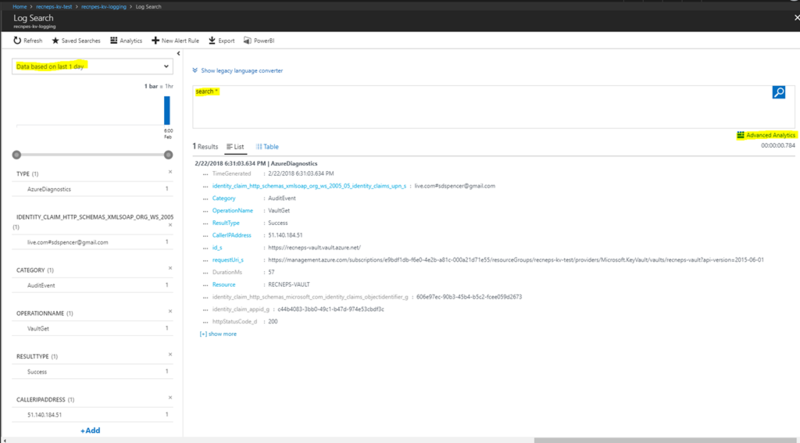 A while ago I was looking for an alternative to System.Diagnostics.Trace and found Log4Net. 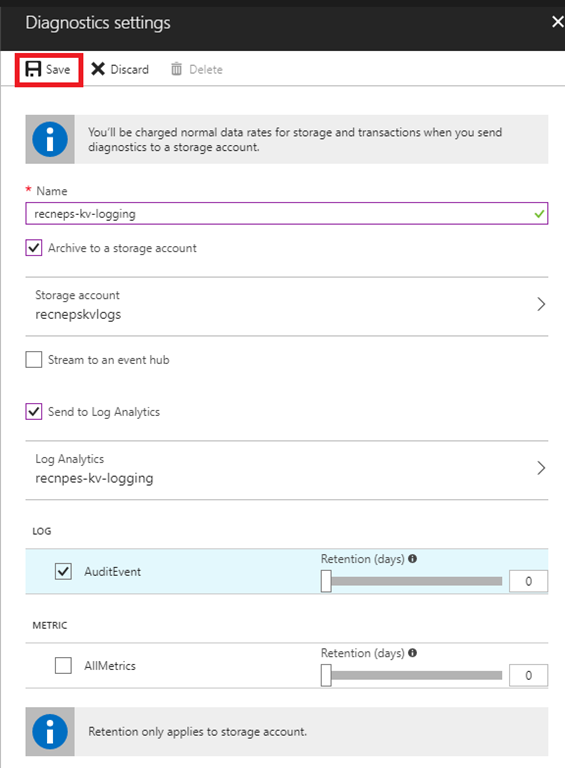 I know the patterns and practices group have created enterprise logging but I find Log4Net nice and easy to use. I created some documentation and samples on my website at http://www.recneps.co.uk/log4net.aspx. The BlackMarble.Diagnostics.Logging libraries encapulate both System.Diagnostic.Trace and Log4Net so that we can use a standard way of logging and then configure at runtime one we want to use.